The historical context in which theological understandings have developed play an important role in our understanding of the modern church. In this book, Sulpician priest and scholar Frederick J. Cwiekowski traces the theology of the church, beginning with the community of disciples during Jesus' ministry and the New Testament era. He continues through the various periods of history, highlighting events from both the East and West, including the remarkable developments surrounding the Second Vatican Council, the post-conciliar period, and today's pontificate of Pope Francis. With this book, intended for general readers and students of theology, Cwiekowski hopes to promote an appreciation of the mystery that is the church. Frederick J. Cwiekowski, PSS, priest of the Archdiocese of Hartford (1962) and member of the Society of the Priests of St. Sulpice, did graduate theological studies at the Catholic University of Louvain (Leuven) (STD, 1972). He taught in seminaries in Baltimore and Menlo Park, California, and in various summer school MA programs in different parts of the country. He is also the author of The Beginnings of the Church (Paulist Press, 1988). "The Church is a gift to students, teachers, parishioners, pastors, and anyone else hoping to know more about how the Christian community has understood itself over the centuries. Cwiekowski wears his learning lightly, drawing on the very best of contemporary scholarship to tell an engaging story of both continuity and change in the church. All the qualities that marked his earlier bestseller The Beginnings of the Church—balance, clarity, substantive content, crisp prose—are on full display in this new volume, extending the lessons of history from the age of the apostles to the era of Pope Francis." "Written and intended for both theology students and seminarians, as well as non-specialist general readers with an interest in the subject, Father Cwiekowski hopes to promote an appreciation of the mystery that is the church. Impressively informed, an extraordinary study." "The Church certainly deserves to be on the reading list of any master's level ecclesiology course. This book helps us appreciate anew the human dimension of the church that is both saintly and sinful." 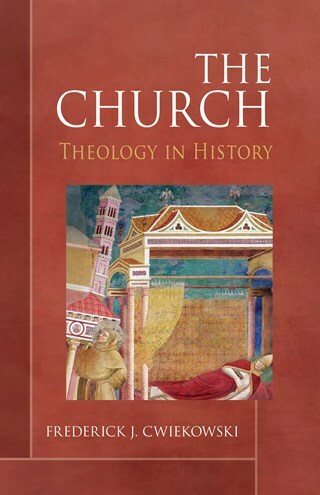 "The book The Church: Theology in History is an invaluable resource to help us reconnect with the historical dimension of the Church. Offering a unified narrative of the theological tradition as Church history is crucial, particularly today in an age of dissonant, ahistorical understandings of Christianity's past." "Clear, calm, historically sensitive, and well-structured, Fr. Cwiekowski's book will be helpful for anyone—college students, candidates for ecclesial ministries, scholars, and general readers—interested in understanding better the Church in its historical journey and in its contemporary situation."